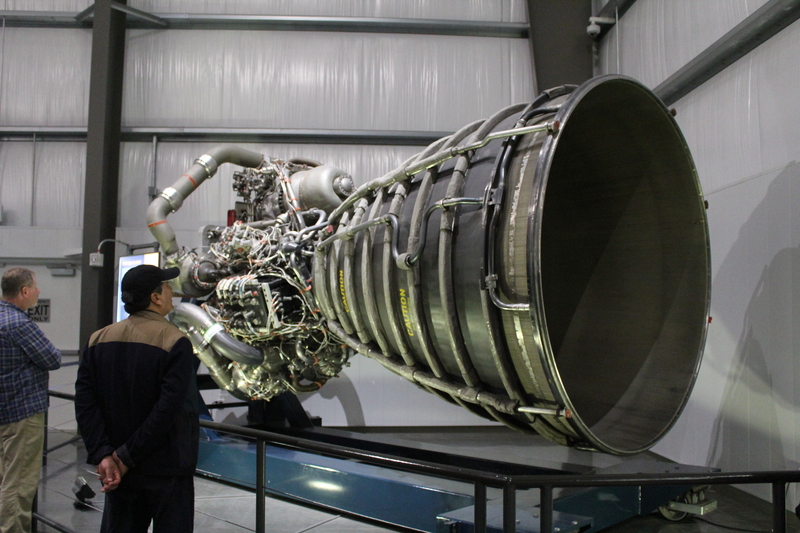 Endeavour has a total of 3 of these bell-shaped nozzles which are an important part of the rocket engine. Endeavour was so large that we couldn’t even fit it into a single picture when standing in the corner of the room! Last month during my trip away in Southern California, I took some time away from research and family to visit the California Science Centre . This amazing science museum is located in the city of Los Angeles and is free entry so if you haven’t been yet then you really should! 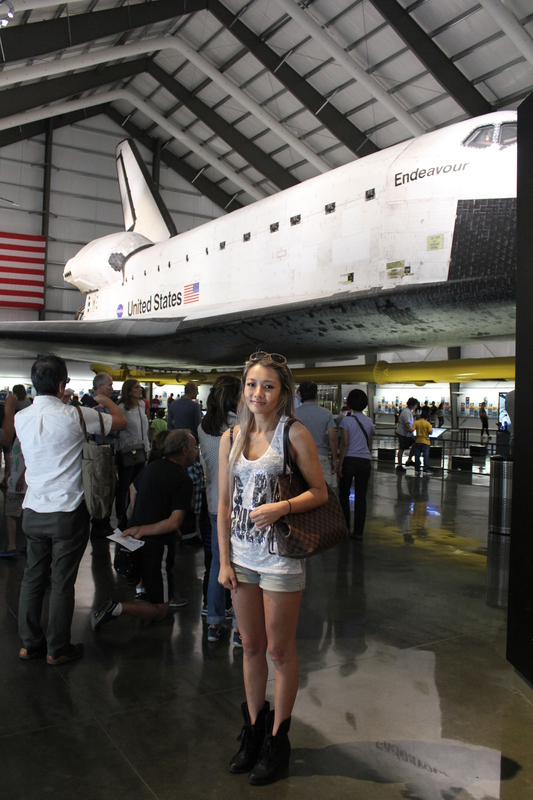 The main reason of my visit was because I was enticed by the opportunity to see Endeavour*. For those that don’t know Endeavour is the predecessor of the space shuttle Challenger. It had it’s maiden voyage in 1992 and has since retired as of 2011. Back of the Endeavour space shuttle. After decommissioning, Endeavour was transported on the back of a airplane through the streets of LA to its final resting place in the science museum. The California Science Centre exhibition was a really great choice to set up Endeavours exhibition. The public can make their way through the full picture of a space mission including a mock up of the Rocketdyne Operations Support Centre and even a flight simulator. The best part of my trip however was definitely when I set my eyes on the space shuttle. It was huge and absolutely breath taking! The public are allowed to walk underneath the giant (even empty of fuel it weights 75000kg! 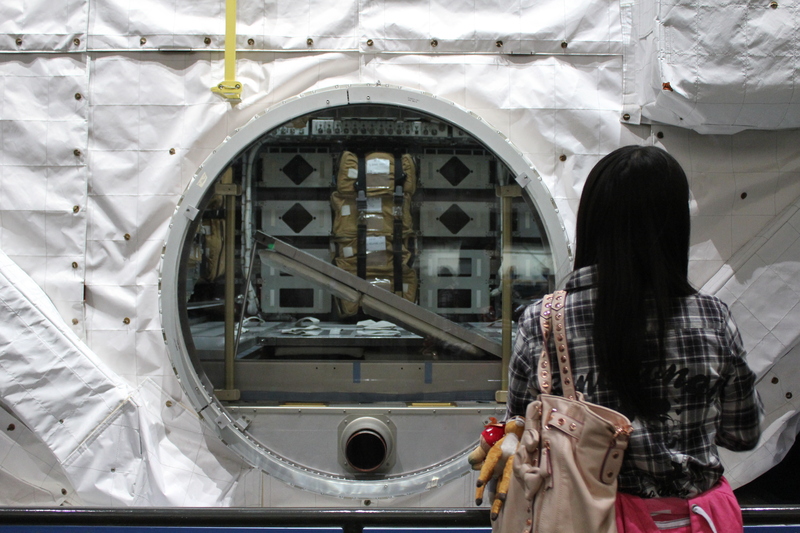 ), where you could see the scorch marks on the the heat resistant panels. The most impressive part I think was that each panel was dated (possibly to indicate replacement?). It was so tempting to reach for the shuttle from beneath but this was actually not allowed. Instead, the public are allowed to feel Endeavour’s gigantic tires. You can really see how much these have worn down from the 25 missions it has undergone. There are also plenty of displays of shuttle parts and interior which was really cool. A duplicate of the Rocketdyne operations support centre located in Canoga Park, CA where the shuttle missions main engines were remotely monitored. The interior of Endeavour was showcased through out the California Science Centre and gave an interesting insight to everything from the space kitchen to the space toilet! 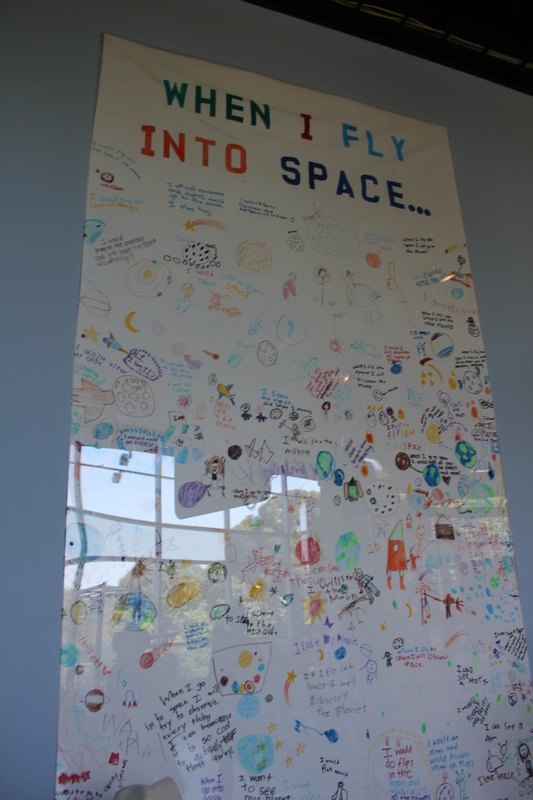 Space is a great way to get kids engaged and interested in science! On an ending note, did you know that Endeavour is the only space shuttle to have been named by children? It was named after the ship of 18th century British scientist and explorer James Cook. Endeavour has led to countless opportunities to promote interest in space and science and in 1993 Endeavour helped to make crucial repairs on the Hubble Space Telescope. So if it wasn’t for the mission, us researchers would have been pretty screwed! 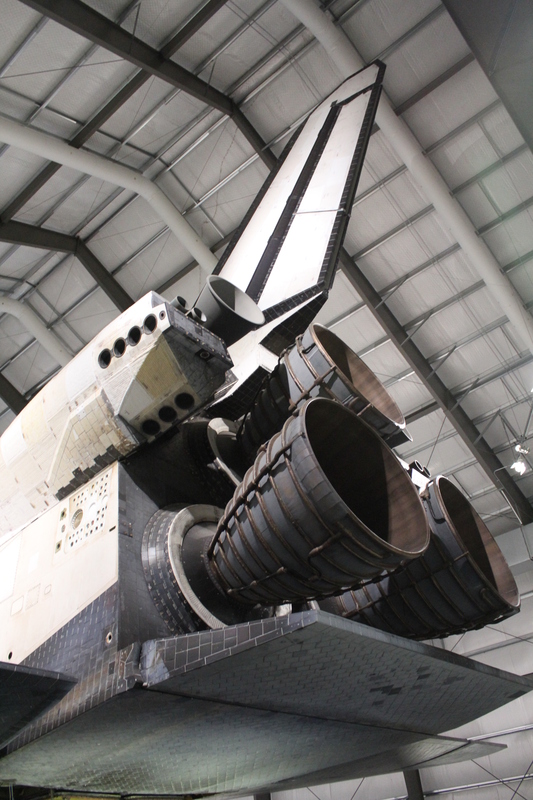 *Note that on weekends and holidays there is a $2 admission reservation to see the Endeavour Exhibit. ← Why on Earth would you want to go on a no return journey to Mars?